Our aim is to use our experience to create engaging and interesting material that can be used by children you adults, teachers and parents to improve cyber awareness. Whether security, safety or skills we believe that engaging through all age groups with appropriate material will contribute to a more secure online experience. We work with partners to develop material that can be used by everybody without the need to cyber experience or skills, ideas and information that can improve us all. We want to eliminate risk and fear of being online whether for recreation or work and encourage more people to join the cyber industry and make a difference. Contact us if you want to learn more. GrillaValues are at the heart of every decision we make. We base our values on integrity, respect, communication, quality, focus and transparency. The GrillaCalendar keeps all of our commercial and educations partners and candidates and up to date on all of our upcoming events, and workshops courses. 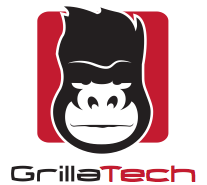 Find out what we think at the GrillaBlog! See the best blog articles from our candidates, companies and partners. You can follow our twitter too.